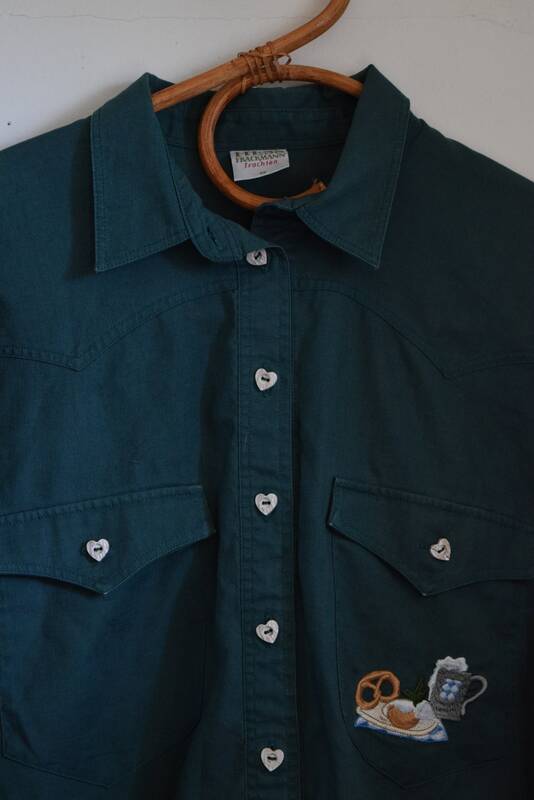 Forrest green long sleeve blouse with heart shaped buttons. 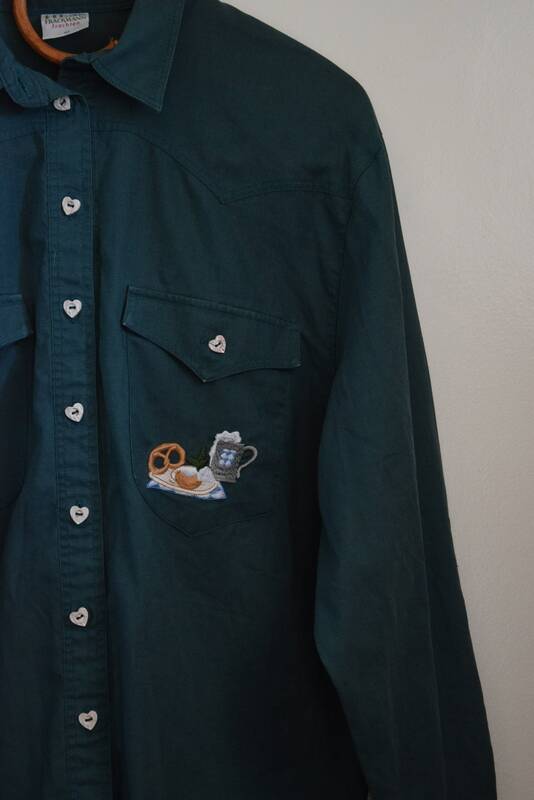 The left pocket has a sausage plate with a pretzel and beer. 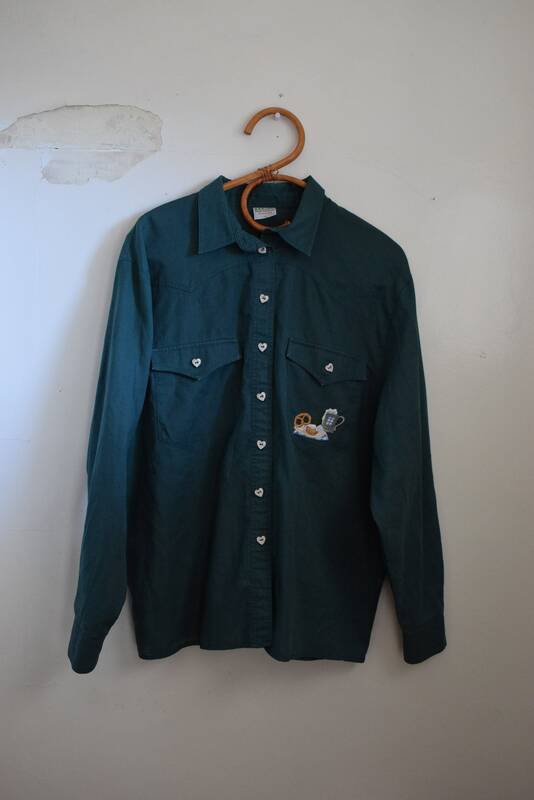 There is also a beer embroidered at the back of the collar. Tag size 42. - see below for full measurements. Shoulders 20" || Sleeve length 24" || Bust 40" || Hip/Waist 38" || Length from back of neck 27.5"